What constitutes the beginning of a congregation? Could it be as simple as a few people moving to a new home and taking their faith with them? In 1907 three Yoder sisters, Annie, Savilla, and Alice (married to Norman Yoder, Ephraim Blauch, and Jonas Ash) of Grantsville, Maryland, and Springs, Pennsylvania, collected their families and belongings for the move to Pinto, Maryland. 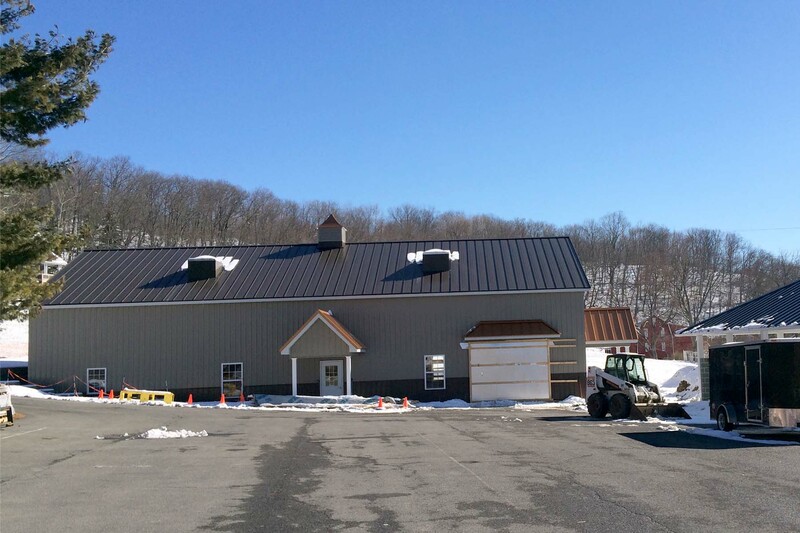 Prompted by a desire “to better their financial circumstances”, the three families took over the operation of two farms along the Potomac River owned by local businessmen. Though surrounded by fertile fields and hills planted in orchards, these families felt the separation from their Mennonite and Amish brothers and sisters. The journey of 30 miles was too far for pastoral care and regular worship with their home congregations. 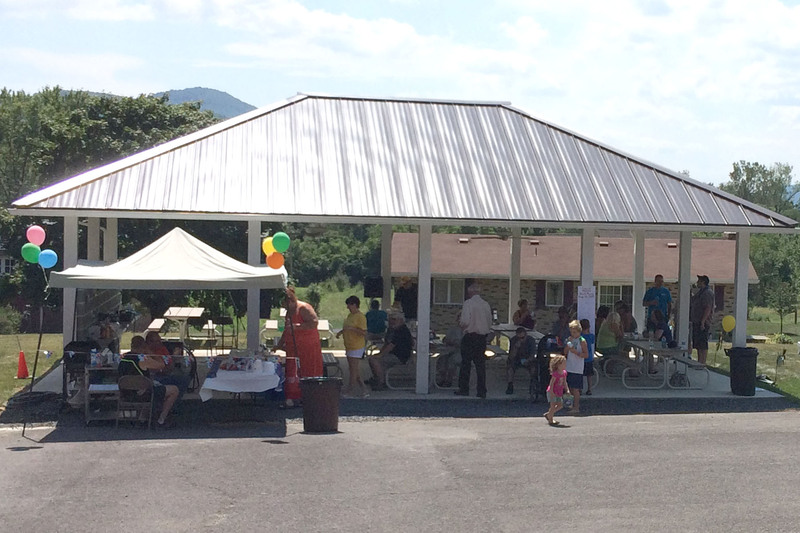 So they found fellowship among the Methodists of Short Gap, West Virginia , and Rawlings , Maryland . But by 1917 when a new school was built near the Washington Bottom Farm, home of the Yoders, the Mennonites helped organize Sunday School and worship services there. Or maybe a congregation begins with the blessing of a wider conference. In 1917, Pinto was recognized as a “mission station” by the Southwestern (PA) Mennonite Conference with Ed Miller in charge. 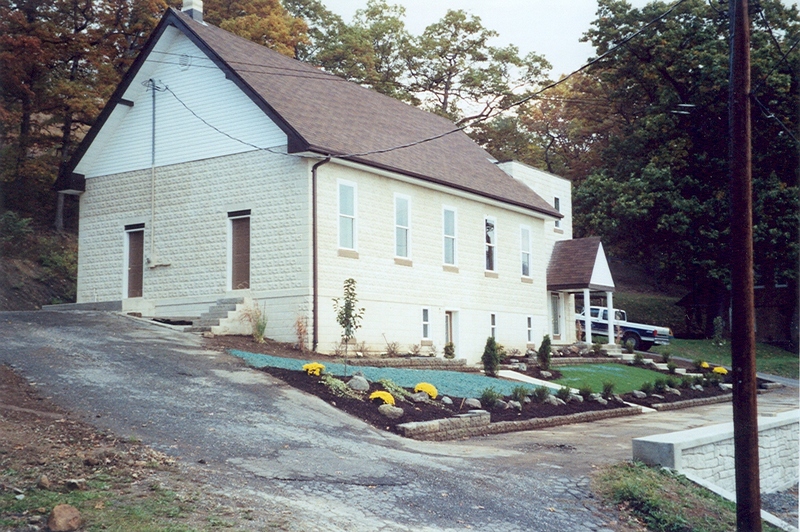 Revival services were held, converts made, congregational status encouraged, and discussions of a permanent meetinghouse took place. But the people of Pinto were not yet ready and their designation as a full church was put on hold for seven years. Maybe a congregation takes hold of its own identity when it reaches out in mission to others. In early 1924 an eighteen-day revival series led by John Grove of Greencastle, Pennsylvania, resulted in about 40 confessions, half of them new members. Not everyone in the community was thrilled by the unique teachings of these Mennonite believers. 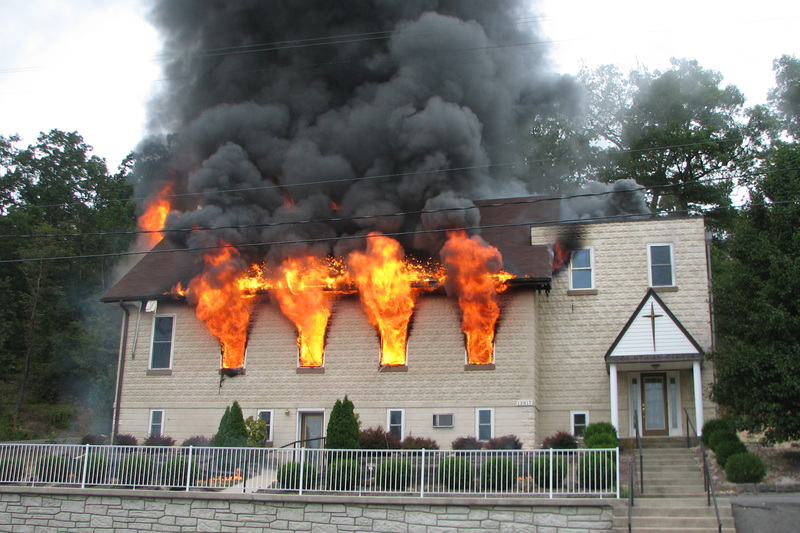 One service was broken up early by a cross burning on a nearby hill. A Bible conference and revival services in the next two years brought in more converts and it was seen that attendance at the small school meeting space was beyond capacity. 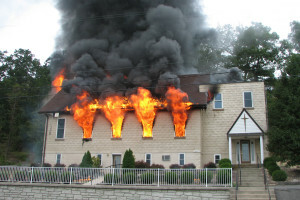 Does a church building make a congregation? Certainly by the spring of 1926 it was clear that this group of worshipers needed more permanent space. 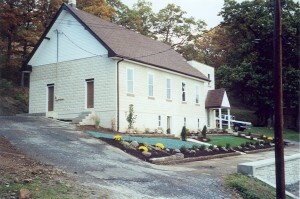 With the pledge of half the costs covered by conference and an “excellent spirit of cooperation” from the community, a 30 x 48 foot chapel was built. On August 22, 1926 , at an all day service, guest speakers and about 500 people dedicated the new place of worship with “unusual enthusiasm”, in the words of Sanford Shetler. 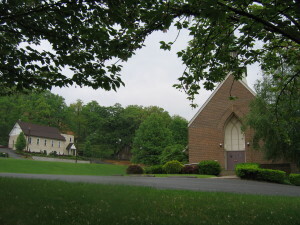 Increasing attendance and new programs prompted the fellowship to add space to their sanctuary. 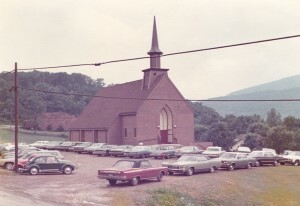 A prototype summer Bible School, and annual fall musical program, a Christmas cantata, as well as Sunday School outreach into West Virginia and church transportation in the community encouraged expansion of the chapel and eventually, in 1972, a new church building. But perhaps a people have become a true congregation when they choose from among its own for church leadership. In 1929 and 1930 Chester Helmick and Robert Dayton were ordained to ministry. These men, who had come forward in renewed dedication at a 1928 Bible conference, served Pinto and the wider Mennonite Church as pastors for the rest of their lives. Others, who began their ministry at Pinto or felt called while part of Pinto, gave their lives to wider church roles that include pasturing and mission leadership. Pinto continues to nurture its youth toward Christian commitment and service. 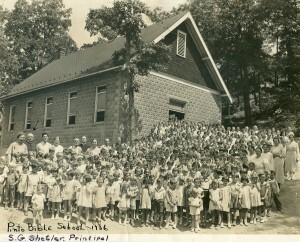 In addition to Sunday School and youth group activities, children of the church are sent to summer church camp. Grants and loans are available for those seeking to make Mennonite higher education more affordable. The church sees its continuing life in the growth of its youth. In the past ten years, programs of outreach have included the LIFE (Living in Faithful Evangelism) process, the Jesus video distribution, and small group worship and fellowship. Evangelism through friendship at work and play has touched lives and brought new believers to join with us in worship. When is a people a congregation? 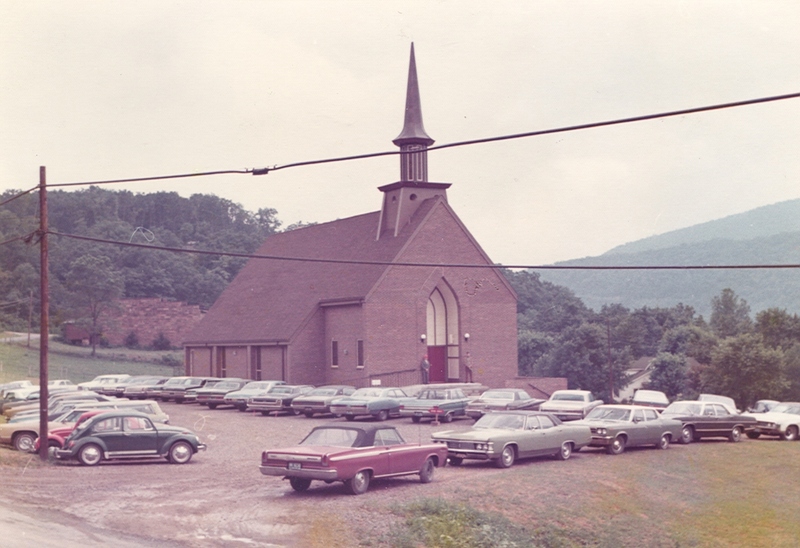 On this 75th year since the small church on the hillside was dedicated, we can see that a congregation is in the lives of people; people who have seen themselves serving God in “this time and place”, people who say that right here and right now we will seek to follow Christ in our daily lives. We praise God for the story of His working among us. The Don Yoder Pavilion was built in his memory in 2014. The Pinto Community Center is being built in 2015 as an activity center for the church and community.